Supercharged and Autobiography models make a jump to a 518-horsepower supercharged 5.0L V8. 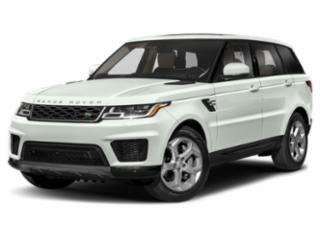 The SVR version gets an even more powerful, 575-horsepower version of the supercharged V8 engine. Power is delivered through an 8-speed automatic transmission. Acceleration with any of these models is very quick — just 6.9 seconds to 60 mph for the Supercharged V6. All models come with 4-wheel drive standard and multi-mode selectable terrain response, while a 4-corner air suspension provides a comfortable ride. The Range Rover Sport carries over into 2019 mostly unchanged. The biggest news is the addition of a new plug-in Hybrid model, which will allow owners to charge their car in at their houses and then use the car as an electric vehicle for short trips. Take the hybrid on a longer trip and the gasoline engine will kick in, at that point replicating the drivetrain of a more conventional hybrid vehicle.